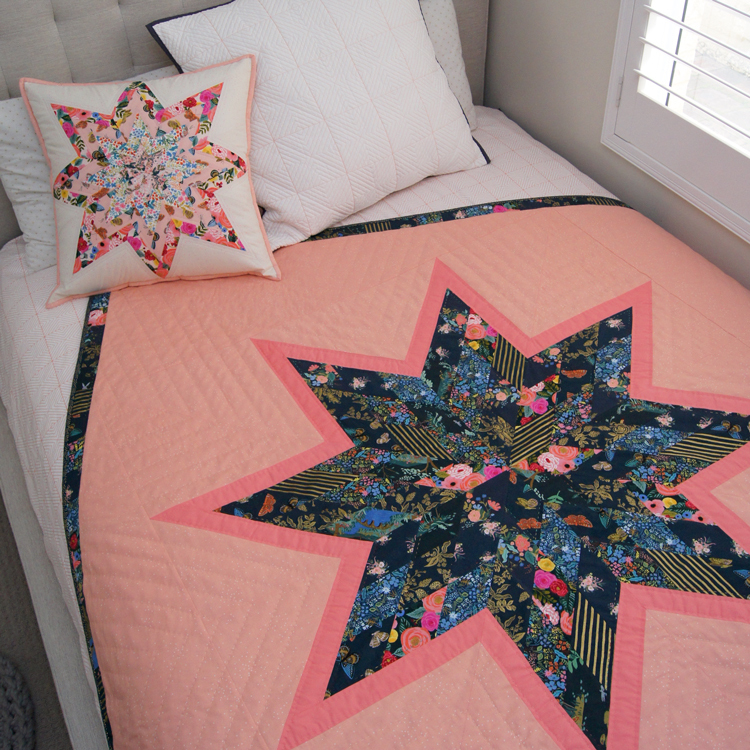 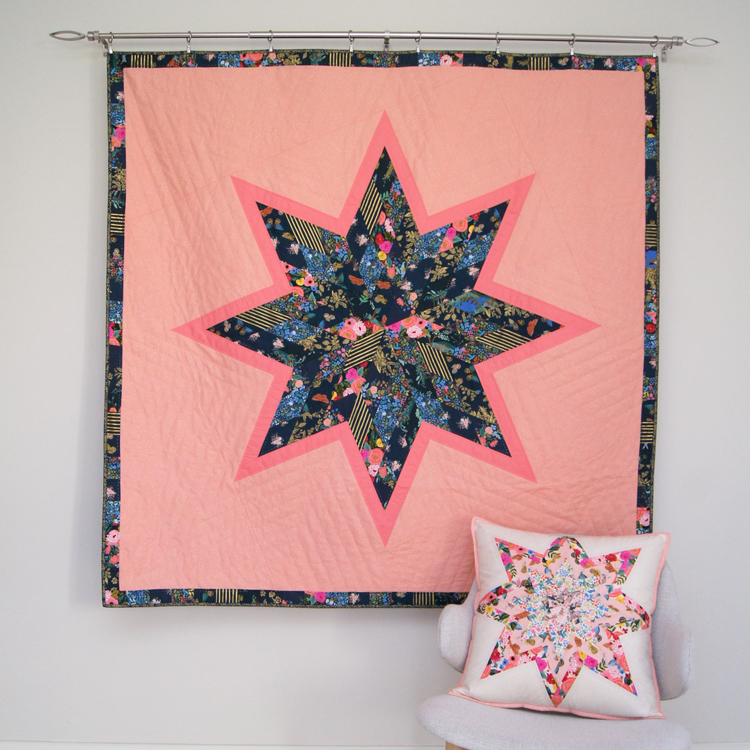 Pattern includes a large & splendid lap quilt as well as the cushion pattern. 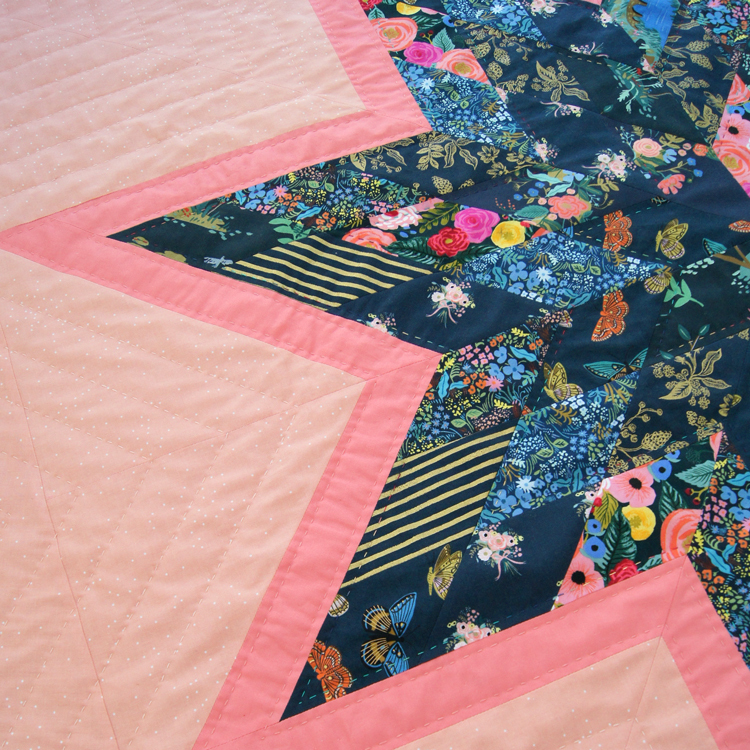 The pattern has lots of clear illustrations on working with bias edges and how to add the ‘twist’ to the lone star shape. 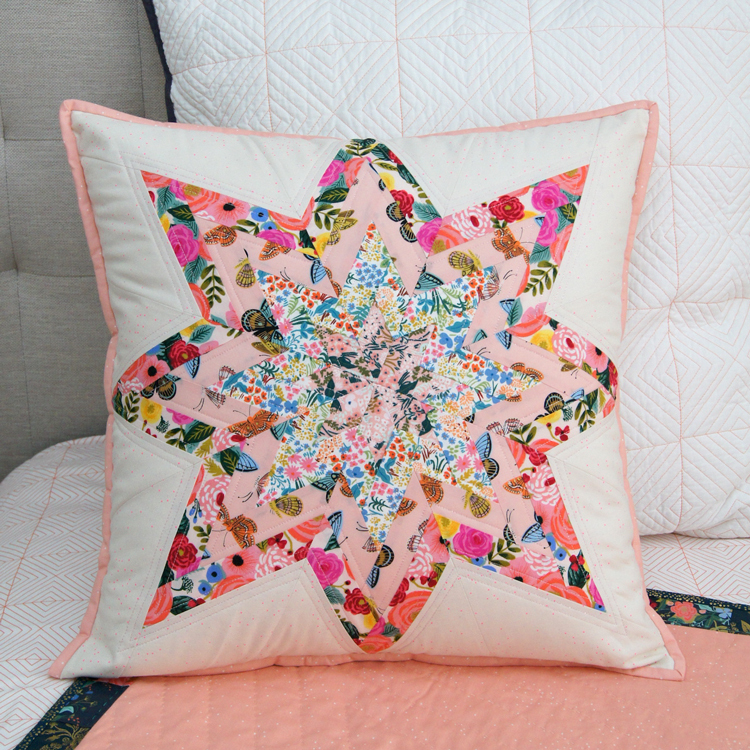 The pattern also comes with the templates and instructions on how to make the cushion to complete the set, pattern also includes lots of full colour pictures.